Build your proficiency in teaching mathematics at advanced levels with our master’s in mathematics online program. Shawnee State University Online Campus’s fully online master’s in mathematics program offers you a convenient path toward earning your degree — and advancing your career. Designed to meet the needs of working professionals, including licensed educators, the accelerated program will give you credentials to teach advanced mathematics at the high school, community college, or university level and to instruct dual-credit courses in high schools. 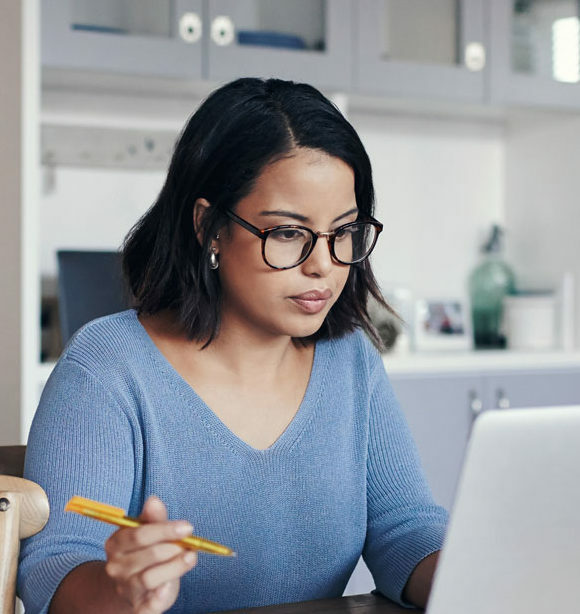 As an online student enrolled in the online master’s in mathematics, you will experience individualized attention throughout your educational experience. With one-on-one assistance from your professors who are dedicated to your success, you can earn your master’s degree in as little as 27 months. Since the program was designed with employed professionals in mind, you can complete your studies at a time and place that’s most convenient. High school teachers seeking the credentials needed to teach College Credit Plus courses. Current instructors who want to teach higher-level mathematics. Students who wish to later pursue a doctoral degree. Earn the credentials to teach College Credit Plus courses. Finish the online master’s program in 27 months. Complete 36 credit hours of mathematics, probability, statistics, and research. With a total of 36 credit hours, our online master’s in mathematics explores various advanced topics in mathematics and applied research. The program can be tailored to suit your goals as you select five courses for core requirements and four mathematical electives, as well as complete nine credit hours of applied research courses. This course covers the mathematical structures of groups and rings. Group theory topics include groups, permutations, subgroups, isomorphisms, homomorphisms, and quotient groups, the Sylow theorems, and finite abelian groups are covered. Ring theory topics include homorophisms, ideals, quotient rings, Euclidean Domains, and polynomial rings. This course covers the mathematical structures of vector spaces, modules, fields, and linear transformations. Topics include linear extension fields, Galois Theory, and canonical forms of linear transformations. This is an applied linear regression course that will initially focus on strengthening the student’s undergraduate background in statistics. Topics for this section will include: sampling distributions, point estimates, confidence intervals, hypothesis testing, ANOVA, and sample size calculations. The second part of the course will introduce maximum likelihood estimation and topics in linear and non-linear regression. The course will blend hands-on data analysis and a theoretical framework. This is a second course in applied linear regression. Topics will include: logistic regression, diagnostic procedures, general linear F-tests and sequential sum of squares, multicollinearity, piecewise regression, selection of the best subset of predictors, more advanced diagnostic procedures, and non-parametric regression. The course will blend hands-on data analysis and a theoretical framework. This is the first course in a two-sequence course that is an in-depth exploration of Calculus topics in an abstract setting. Topics include the real number system, metric spaces, compact sets, sequences, limits of functions, and continuous functions. The study of vector spaces and related concepts such as span, linear independence, matrices, linear transformations, invariant subspaces and eigenspaces of a single linear operator. Additional topics such as inner product spaces, canonical forms, and error correcting codes may be included. This course investigates the properties of the natural numbers and integers. Topics include factorization, Euclidean algorithm, Diophantine equations, congruence, and divisibility. This course begins with detailed review of basic probability including single random variables and jointly distributed random variables. Conditional probability, conditional expectation, and applications are included. Markov Chains and applications are also covered. Poisson processes are also covered if time permits. Concepts of general topological space, metric space. Compact and connected subsets. Separation axioms. Additional topics as time permits. This course will introduce students to multivariate statistical methods that may be used in education research. The focus of the class will be on conducting, interpreting, and presenting the results for common multivariate statistical procedures, such as independent and dependent samples t-tests, ANOVA, two and three-way ANOVA, chi-square tests of independence and goodness of fit, ANCOVA, and repeated measures ANOVA. This course is a continuation of MATH 6610 Quantitative Methods I. In this course, students will be introduced to additional multivariate statistical methods that may be used in education research such as MANOVA, MANCOVA, and non-parametric techniques. Students will also be introduced to measurement concepts and modern test theory, primarily focusing on Classical Test Theory and Item Response Theory including issues central to measurement such as reliability, validity, test construction, and equating. This is the initial course of a 3-course, 5-hour sequence, in which students will be introduced to the research process for program and/or course improvements in mathematics education. The overarching goal is to provide students with the knowledge, skills, and understanding necessary to evaluate and carry out rigorous research in mathematics education. During this course sequence, students will decide a research project topic, collect and analyze their data, and present their findings orally and in writing. This is the second course of research sequence, in which students implement their research proposal that was approved in MATH6996, Research I. This is the final course of the research sequence, in which students implement their action research project that is geared toward program improvement in mathematics education. The M.S. in Mathematics online program is offered at a tuition rate of $402 per credit hour for in-state students and $412 per credit hour for out-of-state students. Nine credits may be transferred into the program. Time to completion varies by student, depending on individual progress and credits transferred, if applicable. Fees are charged per semester unless otherwise noted. This program takes five semesters to complete, depending on transfer credits. For a personalized estimate of time to completion, call an enrollment advisor at 855-815-0323 or request more information. To help make your online education more affordable, Shawnee State offers financial aid in the form of loans, scholarships, and grants. If you have questions, our experienced enrollment counselors and tuition planners will assist you through the process. At Shawnee State, we want those who have served our country to get the education they deserve. 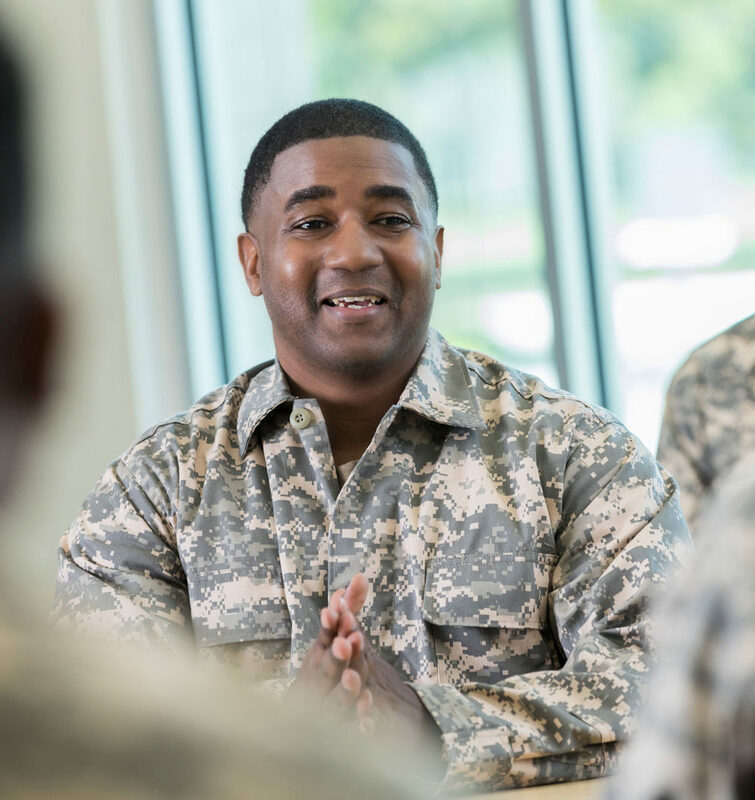 As a veteran or current member of the U.S. military, you can receive federal and state educational benefits through the VA, and we will provide you with guidance and support throughout your online education. Salary and job growth information from the Bureau of Labor Statistics. Responsible for teaching students a variety of subjects beyond the high school level, professors earn a median salary of $76,000 annually. Mathematics professors specifically earn a median annual salary of $70,910. Employment for post-secondary teachers is projected to grow 15 percent through 2026. 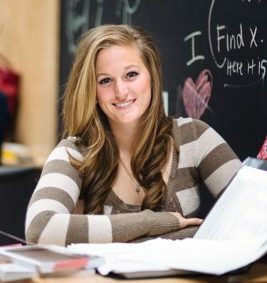 A College Credit Plus high school teacher provides instruction on a variety of topics to help students earn both high school and college credits simultaneously. High school teachers earn a median salary of $59,170 per year, and employment for the field is expected to grow 8 percent through 2026. Advanced mathematics high school teachers may instruct calculus, algebra, or geometry to students in grades nine through 12. Through 2026, employment for high school teachers is projected to grow 8 percent, and the median annual salary is $59,170. By studying online with Shawnee State, you can take advantage of numerous benefits.